The ministry asked for a three-month suspension of Al-Wefaq National Islamic Society. Bahrain’s Justice Ministry has asked a court to suspend the activities of the main Shi’ite Muslim opposition group, a move that could set back any efforts to restart reconciliation talks in the Gulf Arab kingdom. The leader of the Al-Wefaq National Islamic Society, Sheikh Ali Salman, said his group planned to challenge the move by legal means. Bahrain, home to the U.S. Fifth Fleet, quelled a popular uprising in 2011 when majority Shi’ite Muslims led mass protests demanding a greater role in running the Sunni-ruled island but low level civil unrest has persisted. The move comes ahead of general elections expected later this year, which the opposition had threatened to boycott. The ministry asked for a three-month suspension of Al-Wefaq “so it can correct its legal status”, state news agency BNA reported on Sunday. The ministry said it filed the lawsuit after Al-Wefaq insisted “on breaking the law and its own statute as well as its failure to amend violations related to its illegal general assemblies and the consequent invalidity of all its decisions”, the agency reported, quoting a statement. Sheikh Salman, Al-Wefaq’s secretary-general, said his group had not been officially notified of any legal action. “The state follows political repression against the peaceful and public policies (of the opposition). It has taken several measures and the last one of which is to file a case against Al-Wefaq,” he said. 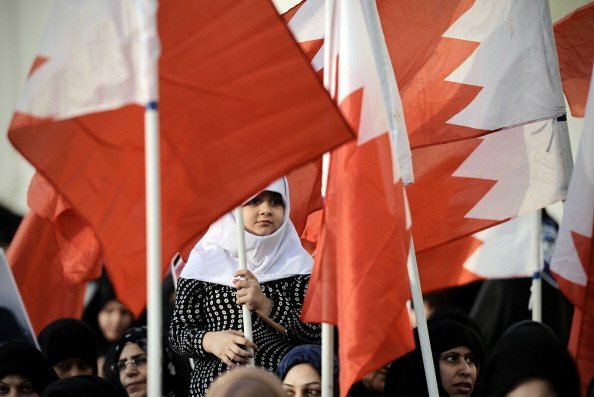 Bahrain’s opposition parties say they will boycott parliamentary elections due to take place this year unless the government guarantees the vote will reflect the will of the people. Talks between the government and opposition have failed to end the political standoff. Many Shi’ites complain of political and economic discrimination in the Sunni-ruled Gulf island state, a charge the authorities deny. The justice ministry’s move came a little over a week after Salman and his political assistant, Khalil al-Marzouq, were charged with holding an illegal meeting with a U.S. diplomat. Tom Malinowski, U.S. Assistant Secretary of State for Democracy, Human Rights and Labor was expelled from Bahrain in June, an incident that has opened a rift between Washington and one of its main regional allies. Marzouq had been cleared of terrorism charges in June, raising hopes that suspended reconciliation talks between the government and the opposition could get back on track. Al-Wefaq, which says it advocates non-violent activism, had boycotted talks with the government after Marzouq’s arrest in September. A meeting between Bahrain’s crown prince and opposition leaders in January may have pulled the discussions back from the brink of collapse but mutual mistrust runs deep. Little progress has been made since then and the opposition has said talks are “frozen”.